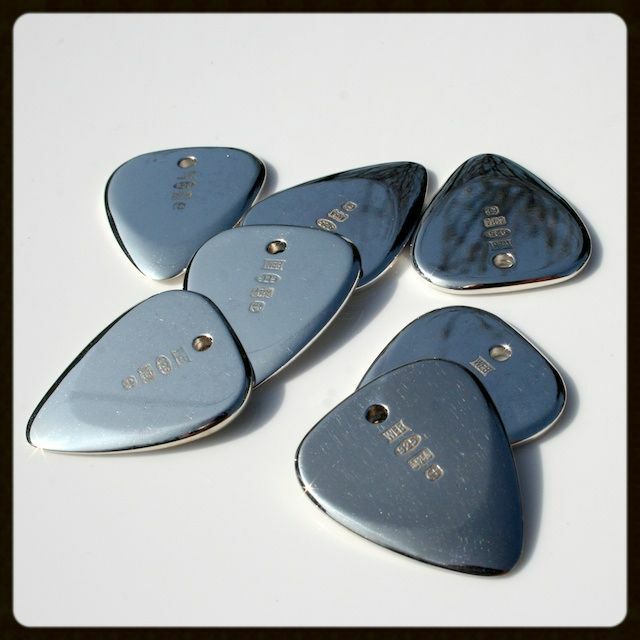 We recommend Treasure Tones for Electric Guitar & Archtop Jazz Guitar. 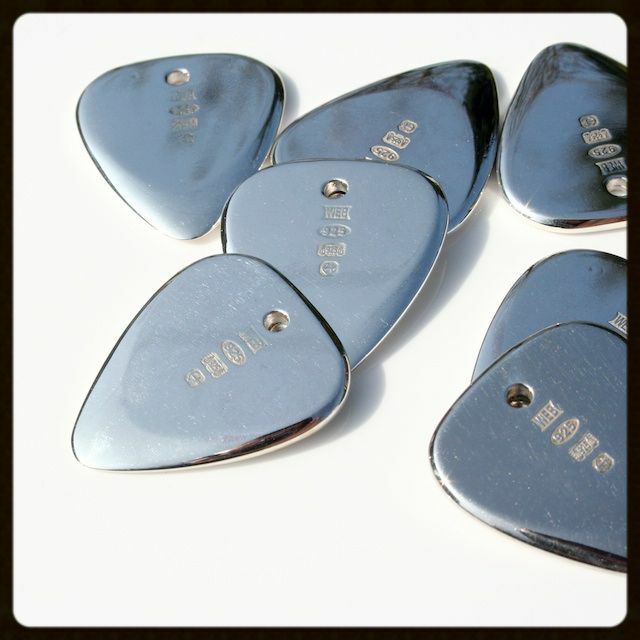 Silver has long been used as a plectrum material by players such as Brian May (Queen) it creates a distinctive crisp metallic tone. This is one of the finest guitar plectrums on the planet. 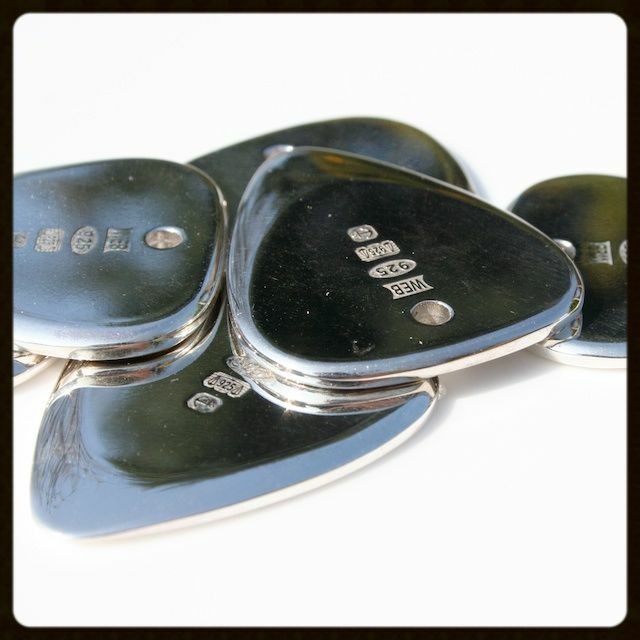 Treasure Tones are Handmade by one of the United Kingdom's premier Goldsmiths. They have been Hall marked by Assay of London, which is one of the world's oldest Customer Quality Guarantees. Treasure Tones are made to the usual Timber Tones Dimensions: 29.5mm long, 25mm wide &amp; 2.3mm thick. They weight in at 11.2g. 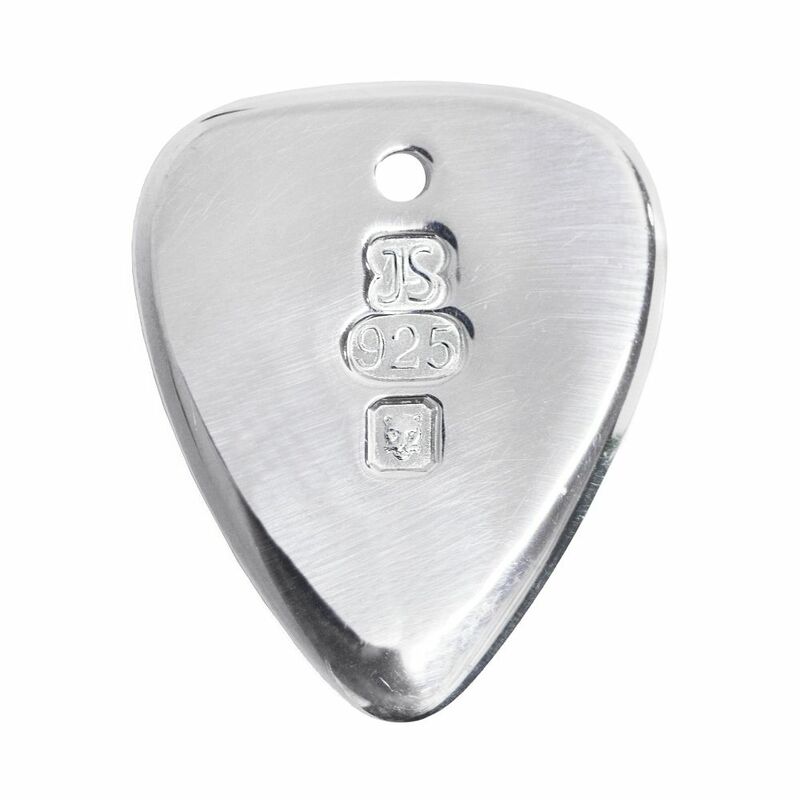 They have a 2.5mm hole positioned to allow use as a jewellery item. 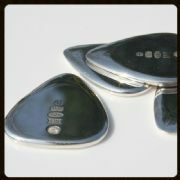 This Solid Silver Plectrum comes in a black ring box.